This site is a voluntary effort by city, county, state, tribal and/or federal agencies to coordinate and aggregate information for California communities affected by wildfire smoke. SHASTA COUNTY – The Shasta County Air Quality Management District (AQMD) and the Public Health Branch of the Shasta County Health and Human Services Agency would like to remind the public that, due to decreased northerly winds, smoke being generated by the Camp Fire in Butte County, has begun to enter portions of Shasta County. It is important to check air quality levels when making daily plans. Conditions can change quickly and can also vary in different areas of the county based on elevation, topography and the direction of winds. These changing conditions will continue until the fire is under control, making the habit of checking air quality a practice that should be done frequently. 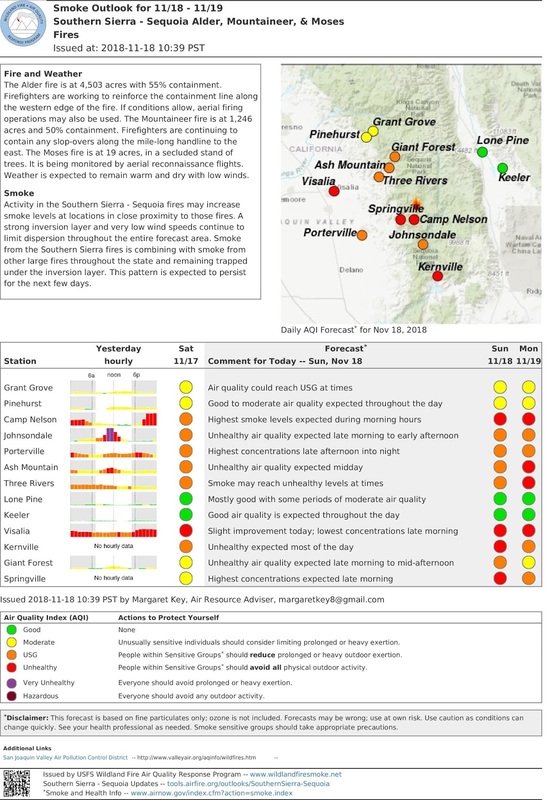 Based on predicted weather patterns; particulate matter levels within areas on the eastern side of the Sacramento Valley, as well as Redding, Anderson and Shasta Lake City are expected to reach UNHEALTHY (AQI 151-200 range). Conditions may improve slightly as the day progresses however, smoke is expected to accumulate in the Sacramento Valley due to stagnant weather conditions. This pattern is expected to remain in place through Saturday. Gusty Northeast winds are predicted for Saturday evening through Sunday which may result in improved smoke conditions. The Air Quality Management District operates one air quality monitor in Anderson that continuously monitors for fine particulate matter less than 2.5 microns in size (PM2.5). 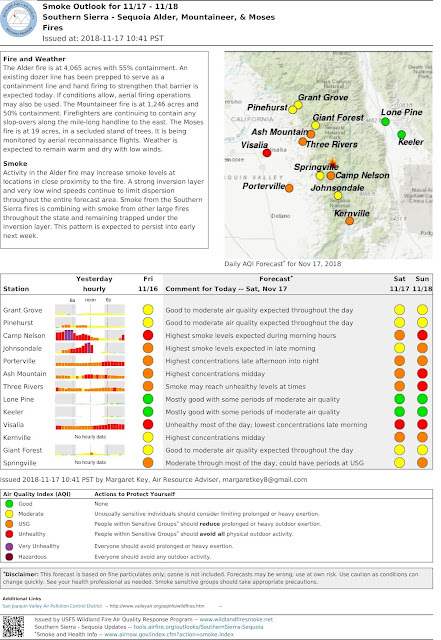 For additional information and updates, you may visit the Air Quality Management District Wildfire Smoke Webpage at: https://www.co.shasta.ca.us/index/drm_index/aq_index/aq_wildfire.aspx or call 225-5674. 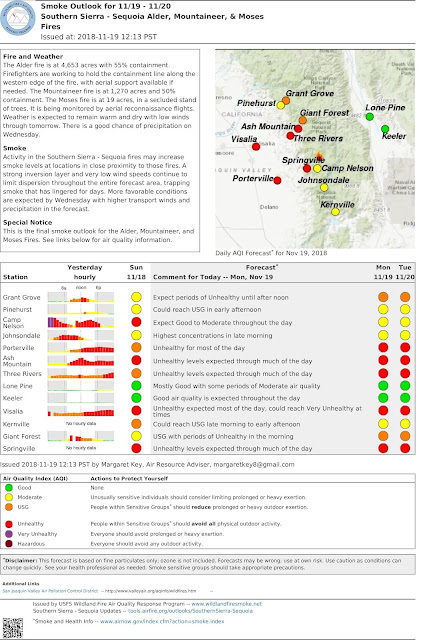 Additional safety tips can be found by going to www.shastahhsa.net and by clicking the “wildfire smoke link under our current health concerns”.